Great for Hybrid E-kit set ups. Double braced design makes this stand extra stable. 360-degree adjustment grabber places the module where you need it to perform. Memory lock at height adjustment to lock in settings. Optional E Module mount available. Gibraltar offers a wide range of specialty stands to satisfy your setup needs. 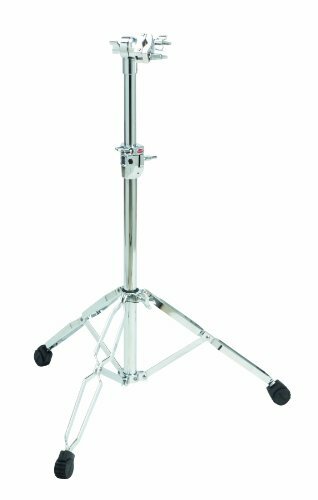 Drum set tom stands, electronics’ mounting, concert symphonic stands, and percussion stands fit into any set up adding form and function. We're not into maple, beech, or birch. We're not drum builders. We're not into bronze alloys and hand hammering. We're not cymbal-smiths. We are Gibraltar. And Gibraltar is hardware. This undeniable focus makes us better at what we do and who we do it for. No matter what brand of kit you play, Gibraltar supports them all. Rock Solid isn't just our slogan. It's our mission.